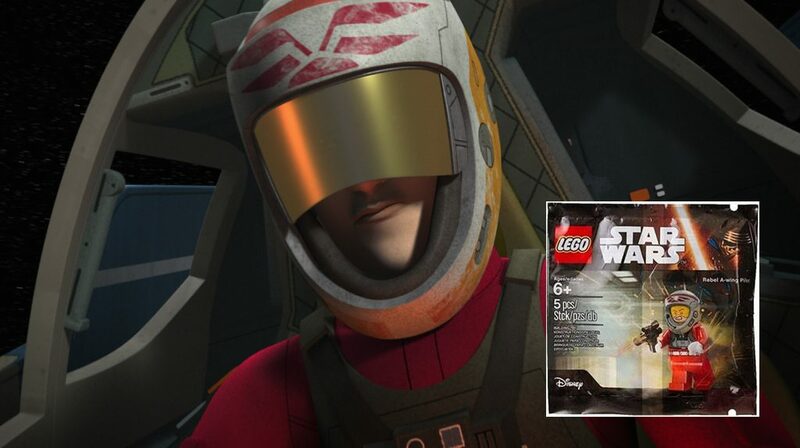 The Realm Recap co-host Flyguy directs our attention to two new LEGO polybags discovered for The Force Awakens. Details of their availability aren’t yet known but look for more info soon for the Finn in First Order Stormtrooper armor and Poe’s Black Squadron X-wing Fighter. 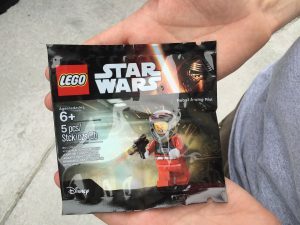 Our friend @studshooter on Twitter reports the finding of the LEGO C-3PO (The Force Awakens) polybag at his local Toys”R”Us. 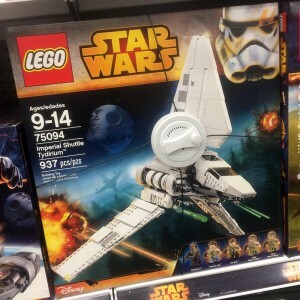 New 2015 LEGO Star Wars sets have started to hit stores recently. I was able to find 4 new boxed sets as well as the Inquisitor’s TIE Advanced Polybag. Click on through for the images. Twitter follower @CybertronPrime tweeted us this LEGO ARC-170 polybag find from his Toys”R”Us today. A heads-up for LEGO collectors, Target is starting to reset their aisle for the Halloween season and amongst the goodies, be on the lookout for the Umbaran MHC (Moblie Heavy Cannon) polybag set. I was able to find a few today at my neighborhood store. 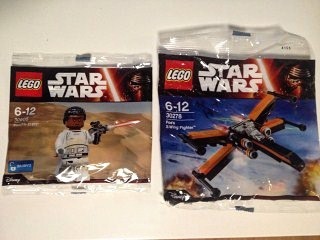 Head on over to Hothbricks.com for a closer look and thanks for Flyguy.net for the heads up.